Understanding the dynamic needs of consumers and adapting to their changing lifestyles has become imperative for brands if they wish to thrive in an environment where money is tight and loyalty, simply for the sake of it, no longer exists. White Star’s unwavering commitment to serving the needs of its consumers, since its launch in 1999, is the reason fora product that never compromises on quality and isin line with needs of consumers to make healthier food choices, using as little additives and preservatives as possible, if any. Maize meal has long been an integral part of South African culture, but to keep abreast of the times, the brand has also taken heed of the need for consumers to prepare healthy meals in shorter periods of time. It is this insight that informs the need to expand the range of product offering to include White Star Instant Porridge, which requires no cooking, and White Star Quick, which as the name suggests, cooks quicker than normal maize meal. Furthermore, with innovation at the heart of its success, White Star has catered for the diverse culture and tastes of South African consumers by finding various ways that it can be incorporated into everyday meals, including offering recipe books and cooking tips, which highlight the versatility of the product. New product launches require extensive research into White Star’s markets and as such, the brand is committed to customer satisfaction and retention. Research has revealed that mothers are usually the ones who make purchasing decisions on behalf the family, based on wanting the very best for them. For this reason, White Star has positioned itself as a ‘food solution’ as opposed to a traditional meal. To ensure consistency across taste, quality and versatility – world class manufacturing processes are used to ensure the product range meets the expectations of its market. 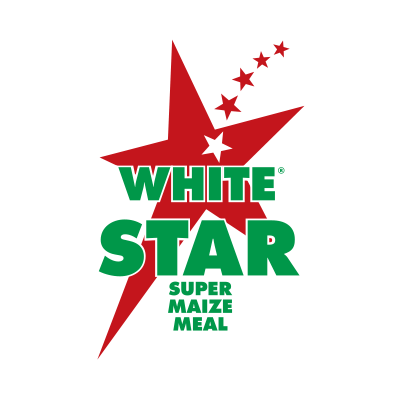 In its category, White Star is the youngest of the three leading maize brands on the market, launched as a top-end super maize meal, it is competing with brands that have been on the market for decades. The brand is the first fortified maize meal, with added Vitamin A, to be introduced tothe South Africa market, and has consistently become the innovation leader in the category. Independent research, including the respected Sunday Times Top Brands Survey,is testimony to the brand’s success and loyalty. According to Nielsen’s Trade Desk research (June 2018), White Star is the most frequently purchased maize brand in top-end retail, while Nielsen’s AdDynamix, which tracks media spend and exposure, reveals that White Star is the most supported maize brand with the highest share of voice compared to its competitors. Advertising communications during the initial launch of the brand consisted of radio, taste demonstrations and road shows; with television later incorporated into brand communications. An innovative music video style was adopted to communicate the brand’s messaging on television. Since then music has been a fundamental part of White Star’s identity, based on the premise that music cuts across language and social barriers, as well as creating a level of excitement and energy that the brand wants consumers to associate with it. In more recent years the brand has extended the scope of its marketing mix to include digital and experiential marketing, as well as sponsorships. As such, it was a natural progression to align with music shows such asMacufe, Moretele Park Tribute Concert, DrumBeat, as well as being behind American artist, Anthony Hamilton’s, first national tour of South Africa in 2012. In keeping with consumers’ need for personalisation, White Star has recently extended from mass media into spaces that closely connect the brand with its market, becoming a daily part of their lives. Within this space, White Star has co-ordinated experiential events such as White Star Celebrity Cook-off and StokvelCooking Challenge. These brand building exercises have the added advantage of demonstrating White Star’s versatility and taste appeal when it comes to preparing a variety of dishes. To maintain its current success and stay ahead of the game, there is a significant focus on innovation and ensuring that the brand is able to adapt to the needs of a changing market. Brand teams are therefore tasked with identifying consumer needs and addressing them through innovation, which is encouraged, celebrated and rewarded at White Star. The introduction of White Star Instant Porridge in 2017, for example, included a range of five flavours; appealing to a market which values new, convenient, tasty and affordable products. It was voted as the 2017 ‘Product of the Year’ in the breakfast category, in a survey conducted by Nielsen. This is in addition to White Star being voted South Africa’s favourite maize brand in the Sunday Times Top Brands Survey for eight years running. Looking ahead, the White Star team has a number of innovations in the pipeline, which include both product launches as well as new packaging – all of which have been designed with the purpose of adding value to the lives of the brand’s loyal customers. 1 Sportica Crescent, Tygervalley, 7530.